Animal Forest Sound CD Keke Choice! 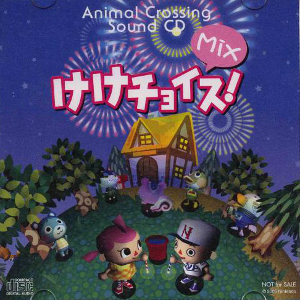 Mix, composed by Kazumi Totaka and Shinobu Tanaka, was a promotional album created for Animal Forest, known as Animal Crossing in the United States. This short album is a reflection of the music found in the game. How does it stack up? The promotional album opens up with “Title,” played at the start screen. It’s a piece that seems to fuse Western and French influences through its use of the accordion and acoustic guitar. Ultimately, a short but sweet composition that is easily recognizable to fans. “Title” also gets an arrangement in the form of “Title -First Snow Mix-“, the longest piece featured on the album. To be honest, there isn’t too much differing material between the two. There are hints of piano and the pace seems to have slowed slightly, but in the end, it’s essentially an extended version of the “Title” theme. “Heavy Rotation -Hi-Fi Mix-” is another Western-influenced piece. The combination of electric and acoustic guitars as well as piano creates a nice fusion of styles, making the melody sound all the more melancholy. It’s another short pleasant addition to the soundtrack. “Radio Exercises” has Animal Forest voices overlaying a simplistic yet catchy piano melody. It’s not entire appealing and parts of the composition itself don’t impress too much. Of course, it wouldn’t be Animal Forest without K.K.! Yes, that’s right! The acoustic guitar playing dog sings a song as well, entitled “2:00am -Totakeke Mix-“. While the composition itself has a very rustic feel, what’s probably going to stand out the most to people is the voice of K.K. 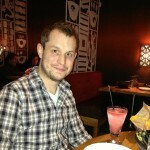 himself. To be honest, it’s not all that appealing. Fortunately, the whistling and the acoustic guitar composition help to counter its ill effects, even though the voice is charming in a creepy way. Keeping in line with K.K., “Congratulations! -Totakeke Mix-” is an eight second ditty. This album offers a nice insight into the world of Animal Forest. While the selection of tracks isn’t the greatest, it does offer some of the more rustic and memorable pieces from the game. Should you seek out this album? Well, it does feature compositions not found on the official soundtrack releases, but at the same time, they are extremely short. In the end, it’s up to you!